WHEN man reasoneth, he does nothing else but conceive a sum total, from addition of parcels; or conceive a remainder, from subtraction of one sum from another: which, if it be done by words, is conceiving of the consequence of the names of all the parts, to the name of the whole; or from the names of the whole and one part, to the name of the other part. And though in some things, as in numbers, besides adding and subtracting, men name other operations, as multiplying and dividing; yet they are the same: for multiplication is but adding together of things equal; and division, but subtracting of one thing, as often as we can. These operations are not incident to numbers only, but to all manner of things that can be added together, and taken one out of another. For as arithmeticians teach to add and subtract in numbers, so the geometricians teach the same in lines, figures (solid and superficial), angles, proportions, times, degrees of swiftness, force, power, and the like; the logicians teach the same in consequences of words, adding together two names to make an affirmation, and two affirmations to make a syllogism, and many syllogisms to make a demonstration; and from the sum, or conclusion of a syllogism, they subtract one proposition to find the other. Writers of politics add together pactions to find men's duties; and lawyers, laws and facts to find what is right and wrong in the actions of private men. In sum, in what matter soever there is place for addition and subtraction, there also is place for reason; and where these have no place, there reason has nothing at all to do. Out of all which we may define (that is to say determine) what that is which is meant by this word reason when we reckon it amongst the faculties of the mind. For reason, in this sense, is nothing but reckoning (that is, adding and subtracting) of the consequences of general names agreed upon for the marking and signifying of our thoughts; I say marking them, when we reckon by ourselves; and signifying, when we demonstrate or approve our reckonings to other men. And as in arithmetic unpractised men must, and professors themselves may often, err, and cast up false; so also in any other subject of reasoning, the ablest, most attentive, and most practised men may deceive themselves, and infer false conclusions; not but that reason itself is always right reason, as well as arithmetic is a certain and infallible art: but no one man's reason, nor the reason of any one number of men, makes the certainty; no more than an account is therefore well cast up because a great many men have unanimously approved it. And therefore, as when there is a controversy in an account, the parties must by their own accord set up for right reason the reason of some arbitrator, or judge, to whose sentence they will both stand, or their controversy must either come to blows, or be undecided, for want of a right reason constituted by Nature; so is it also in all debates of what kind soever: and when men that think themselves wiser than all others clamour and demand right reason for judge, yet seek no more but that things should be determined by no other men's reason but their own, it is as intolerable in the society of men, as it is in play after trump is turned to use for trump on every occasion that suit whereof they have most in their hand. For they do nothing else, that will have every of their passions, as it comes to bear sway in them, to be taken for right reason, and that in their own controversies: bewraying their want of right reason by the claim they lay to it. The use and end of reason is not the finding of the sum and truth of one, or a few consequences, remote from the first definitions and settled significations of names; but to begin at these, and proceed from one consequence to another. For there can be no certainty of the last conclusion without a certainty of all those affirmations and negations on which it was grounded and inferred. As when a master of a family, in taking an account, casteth up the sums of all the bills of expense into one sum; and not regarding how each bill is summed up, by those that give them in account, nor what it is he pays for, he advantages himself no more than if he allowed the account in gross, trusting to every of the accountant's skill and honesty: so also in reasoning of all other things, he that takes up conclusions on the trust of authors, and doth not fetch them from the first items in every reckoning (which are the significations of names settled by definitions), loses his labour, and does not know anything, but only believeth. 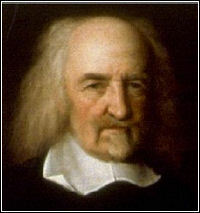 When a man reckons without the use of words, which may be done in particular things, as when upon the sight of any one thing, we conjecture what was likely to have preceded, or is likely to follow upon it; if that which he thought likely to follow follows not, or that which he thought likely to have preceded it hath not preceded it, this is called error; to which even the most prudent men are subject. But when we reason in words of general signification, and fall upon a general inference which is false; though it be commonly called error, it is indeed an absurdity, or senseless speech. For error is but a deception, in presuming that somewhat is past, or to come; of which, though it were not past, or not to come, yet there was no impossibility discoverable. But when we make a general assertion, unless it be a true one, the possibility of it is inconceivable. And words whereby we conceive nothing but the sound are those we call absurd, insignificant, and nonsense. And therefore if a man should talk to me of a round quadrangle; or accidents of bread in cheese; or immaterial substances; or of a free subject; a free will; or any free but free from being hindered by opposition; I should not say he were in an error, but that his words were without meaning; that is to say, absurd. I have said before, in the second chapter, that a man did excel all other animals in this faculty, that when he conceived anything whatsoever, he was apt to enquire the consequences of it, and what effects he could do with it. And now I add this other degree of the same excellence, that he can by words reduce the consequences he finds to general rules, called theorems, or aphorisms; that is, he can reason, or reckon, not only in number, but in all other things whereof one may be added unto or subtracted from another. But this privilege is allayed by another; and that is by the privilege of absurdity, to which no living creature is subject, but men only. And of men, those are of all most subject to it that profess philosophy. For it is most true that Cicero saith of them somewhere; that there can be nothing so absurd but may be found in the books of philosophers. And the reason is manifest. For there is not one of them that begins his ratiocination from the definitions or explications of the names they are to use; which is a method that hath been used only in geometry, whose conclusions have thereby been made indisputable. The first cause of absurd conclusions I ascribe to the want of method; in that they begin not their ratiocination from definitions; that is, from settled significations of their words: as if they could cast account without knowing the value of the numeral words, one, two, and three. And whereas all bodies enter into account upon diverse considerations, which I have mentioned in the precedent chapter, these considerations being diversely named, diverse absurdities proceed from the confusion and unfit connexion of their names into assertions. And therefore, The second cause of absurd assertions, I ascribe to the giving of names of bodies to accidents; or of accidents to bodies; as they do that say, faith is infused, or inspired; when nothing can be poured, or breathed into anything, but body; and that extension is body; that phantasms are spirits, etc. The third I ascribe to the giving of the names of the accidents of bodies without us to the accidents of our own bodies; as they do that say, the colour is in the body; the sound is in the air, etc. The fourth, to the giving of the names of bodies to names, or speeches; as they do that say that there be things universal; that a living creature is genus, or a general thing, etc. The fifth, to the giving of the names of accidents to names and speeches; as they do that say, the nature of a thing is its definition; a man's command is his will; and the like. The sixth, to the use of metaphors, tropes, and other rhetorical figures, instead of words proper. For though it be lawful to say, for example, in common speech, the way goeth, or leadeth hither, or thither; the proverb says this or that (whereas ways cannot go, nor proverbs speak); yet in reckoning, and seeking of truth, such speeches are not to be admitted. The seventh, to names that signify nothing, but are taken up and learned by rote from the Schools, as hypostatical, transubstantiate, consubstantiate, eternal-now, and the like canting of Schoolmen. To him that can avoid these things, it is not easy to fall into any absurdity, unless it be by the length of an account; wherein he may perhaps forget what went before. For all men by nature reason alike, and well, when they have good principles. For who is so stupid as both to mistake in geometry, and also to persist in it, when another detects his error to him? By this it appears that reason is not, as sense and memory, born with us; nor gotten by experience only, as prudence is; but attained by industry: first in apt imposing of names; and secondly by getting a good and orderly method in proceeding from the elements, which are names, to assertions made by connexion of one of them to another; and so to syllogisms, which are the connexions of one assertion to another, till we come to a knowledge of all the consequences of names appertaining to the subject in hand; and that is it, men call science. And whereas sense and memory are but knowledge of fact, which is a thing past and irrevocable, science is the knowledge of consequences, and dependence of one fact upon another; by which, out of that we can presently do, we know how to do something else when we will, or the like, another time: because when we see how anything comes about, upon what causes, and by what manner; when the like causes come into our power, we see how to make it produce the like effects. Children therefore are not endued with reason at all, till they have attained the use of speech, but are called reasonable creatures for the possibility apparent of having the use of reason in time to come. And the most part of men, though they have the use of reasoning a little way, as in numbering to some degree; yet it serves them to little use in common life, in which they govern themselves, some better, some worse, according to their differences of experience, quickness of memory, and inclinations to several ends; but specially according to good or evil fortune, and the errors of one another. For as for science, or certain rules of their actions, they are so far from it that they know not what it is. Geometry they have thought conjuring: but for other sciences, they who have not been taught the beginnings, and some progress in them, that they may see how they be acquired and generated, are in this point like children that, having no thought of generation, are made believe by the women that their brothers and sisters are not born, but found in the garden. But yet they that have no science are in better and nobler condition with their natural prudence than men that, by misreasoning, or by trusting them that reason wrong, fall upon false and absurd general rules. For ignorance of causes, and of rules, does not set men so far out of their way as relying on false rules, and taking for causes of what they aspire to, those that are not so, but rather causes of the contrary. To conclude, the light of humane minds is perspicuous words, but by exact definitions first snuffed, and purged from ambiguity; reason is the pace; increase of science, the way; and the benefit of mankind, the end. And, on the contrary, metaphors, and senseless and ambiguous words are like ignes fatui; and reasoning upon them is wandering amongst innumerable absurdities; and their end, contention and sedition, or contempt. As much experience is prudence, so is much science sapience. For though we usually have one name of wisdom for them both; yet the Latins did always distinguish between prudentia and sapientia; ascribing the former to experience, the latter to science. But to make their difference appear more clearly, let us suppose one man endued with an excellent natural use and dexterity in handling his arms; and another to have added to that dexterity an acquired science of where he can offend, or be offended by his adversary, in every possible posture or guard: the ability of the former would be to the ability of the latter, as prudence to sapience; both useful, but the latter infallible. But they that, trusting only to the authority of books, follow the blind blindly, are like him that, trusting to the false rules of a master of fence, ventures presumptuously upon an adversary that either kills or disgraces him. The signs of science are some certain and infallible; some, uncertain. Certain, when he that pretendeth the science of anything can teach the same; that is to say, demonstrate the truth thereof perspicuously to another: uncertain, when only some particular events answer to his pretence, and upon many occasions prove so as he says they must. Signs of prudence are all uncertain; because to observe by experience, and remember all circumstances that may alter the success, is impossible. But in any business, whereof a man has not infallible science to proceed by, to forsake his own natural judgment, and be guided by general sentences read in authors, and subject to many exceptions, is a sign of folly, and generally scorned by the name of pedantry. And even of those men themselves that in councils of the Commonwealth love to show their reading of politics and history, very few do it in their domestic affairs where their particular interest is concerned, having prudence enough for their private affairs; but in public they study more the reputation of their own wit than the success of another's business.